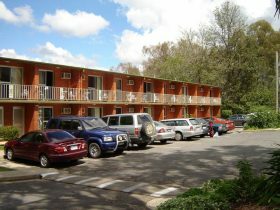 Their one bedroom apartments are perfect for the family, a small group of friends or a couple’s getaway. 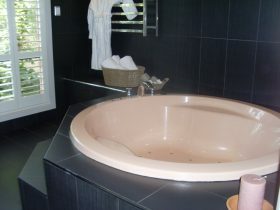 They are fully self-contained and air-conditioned with a queen-size bed in the living area and two single beds in bedroom. 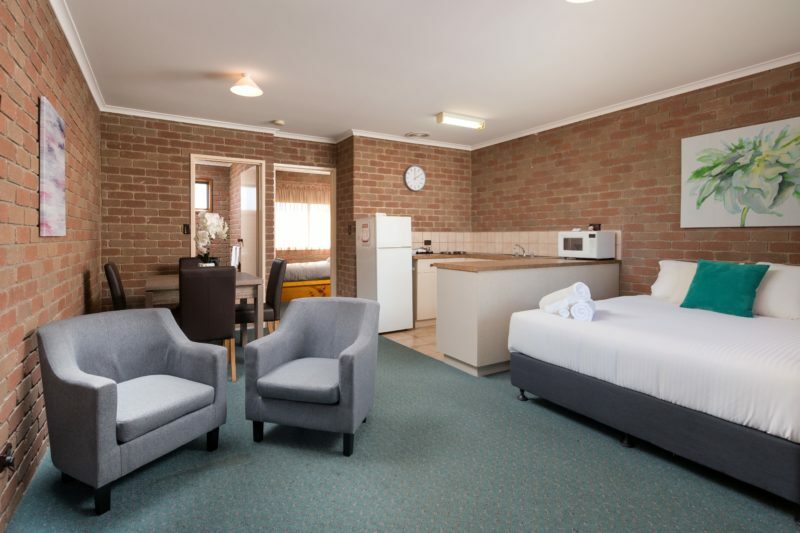 Complete with digital television, separate bathroom and a lounge/dining area with comfortable seating and beautiful dining set.These apartments contain a fully equipped kitchen with full size fridge, microwave and cooking facilities. 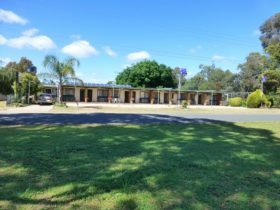 Relax in their fully self-contained, air-conditioned units, complete with digital television, separate bathroom, lounge/dining area with pull out sofa couch and dining table and chairs. 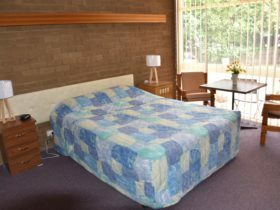 The fully equipped kitchen contains a full size fridge, microwave and other cooking facilities. With a Sealy pillow top queen bed in the main bedroom and set of bunks and single in the second bedroom there is more than enough room in their two bedroom apartments. Enjoy your getaway on five acres of grassy area shaded by River Reds. 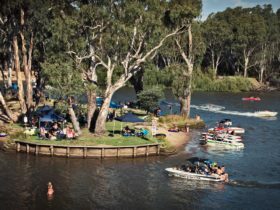 These sites overlook the lagoon and are in close proximity to the Murray River. 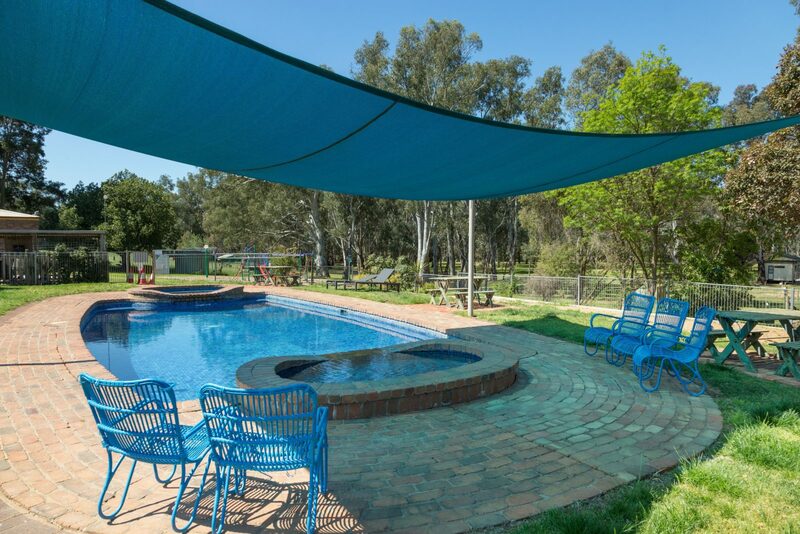 Enjoy full use of all park facilities, including pool, playground, jumping pillow, recreation room, amenities block, outdoor barbecue areas and laundry facilities.